Below are a selection of Hari's books that you can purchase. Clicking to purchase will take you to a third-party website to make a secure payment. 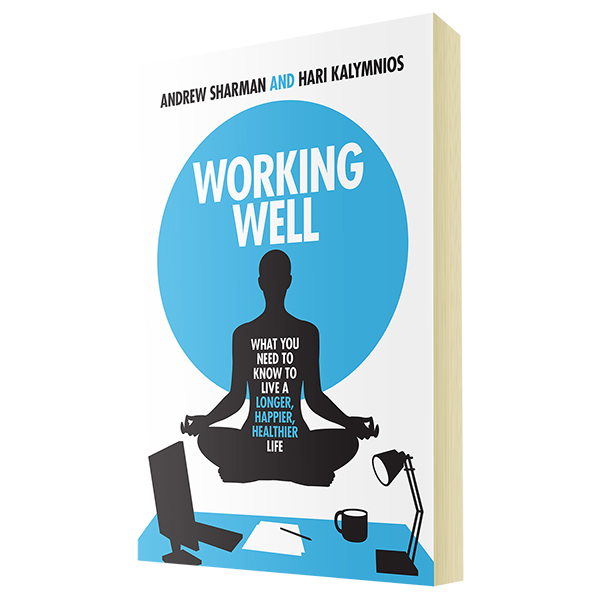 Finally – a book which succeeds in addressing the area most other health and wellness books miss – your thoughts! What’s the same thing about every health regime you’ve ever tried?…………YOU! And have you noticed that time after time, you get the same results? Well, the reason is that you haven’t addressed the primary key to all change – your own thoughts. Before trying to change your diet or embark on a new health regime, you must first look at changing the thoughts that go into your mind. 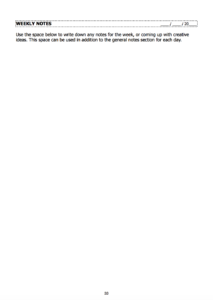 Otherwise you almost guarantee a huge disappointment. 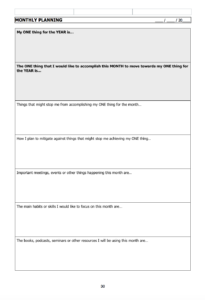 The Thought Gym book gives you workable and proven methods, tools and techniques for addressing what goes into your mind, so that the results that you want are now achievable. Not only will you understand how to alter your thoughts, but you’ll understand how your beliefs and values shape your results, how the language you use daily is vitally important to your success and also how to really make sure that the right motivation for you to succeed is in place from the start. Supporting the information you will get from reading this book are on-line guided support modules consisting of both downloadable audio support and video streaming, so it’s like Hari is in the room with you helping you achieve your health and wellbeing dreams. As our lives get busier and busier, boundaries between work and leisure blur and we spend less time thinking about what we’re actually putting our bodies through. prolonged bouts of sickness, lethargy and sharp increases in stress, depression and mental health issues. The most advanced and practical productivity planner on the market. 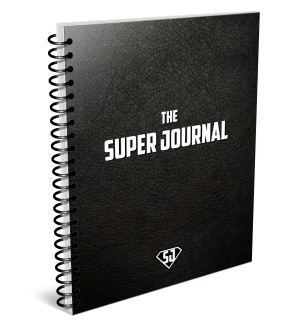 After over two years in development and testing, Hari Kalymnios from The Thought Gym brings you The Super Journal. A day planner which includes yearly goal setting, month-to-month and week-to-week tracking as well as a day-to-day planner. The day planner includes everything you need to stay focussed on your day and your goals. Includes a timetable for the day (broken down into 30 minutes chunks), space for free notes, reflections for the day, top three goals for the year (and what you need to focus on for each), contacts you need to connect with, gratitude, inspiration quotes, daily habit tracking and much much more. Note: This planner is for 3 months. If you want to be more PRODUCTIVE, ACHIEVE MORE, STRESS LESS and ultimately SUCCEED in your professional endeavours in LESS TIME and with MORE HAPPINESS, then this planner - The Super Journal - is what you need. Then you write down your top three goals for the year, and three things that you need to be aware of in relationship to those three goals. Below your primary goal for the year, you write what one thing you need to accomplish that day, week and month to move your primary yearly goal forward. Further down there is a section to list who you are waiting on input from, and who you need to reach out to, in order to move things forward. 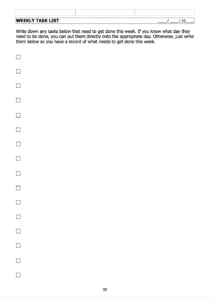 Finally, a general task list of activities that you would like to complete that day. 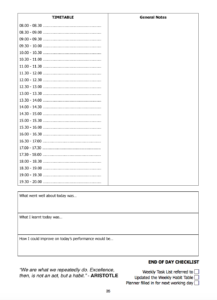 It’s easy to lose track of time, and waste it on useless tasks, so The Super Journal has a daily time tracker (in 30 minute blocks) to help you plan your day – and more importantly – stick to it! To the side of the schedule is space for general note taking (there is also a complete blank page for notes prior to each week starting, if the space here isn’t enough). Before each week, you have the opportunity to plan the week ahead and ensure it’s a success. There is space for you to re-affirm your primary goal for the year, as well as what needs to happen that month and week to move you closer towards it. You will also look at things that might stop you achieving your weekly target and how to mitigate against them. There is also space to note down any important meetings and events that are happening this week that need your attention. 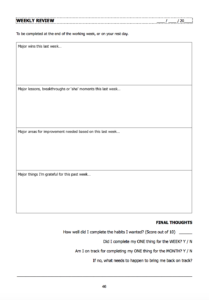 Then you look at how well you completed your daily habits and whether or not you completed your main task for the week and if you are still on track for completing your goal for the month. If not, there is space for you to reflect on what needs to change to allow you to get back on track for the month. What books, podcasts or other further education you are undertaking this month. At the end of each month, just like at the end of each week, you complete a review of how the month went. You do this be reviewing the weekly reviews from the previous month. 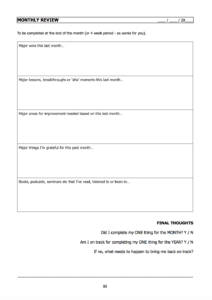 Finally some final thoughts on whether you completed your main goal for the month and whether you are on track for completing your primary goal for the year. If not, what do you need to do to get you back on track. 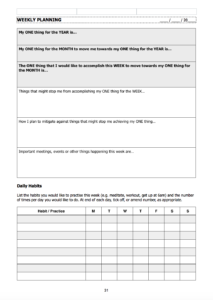 Prior to each week starting, there is a space to write down any general tasks for the week, which haven’t been assigned a specific day for completion. 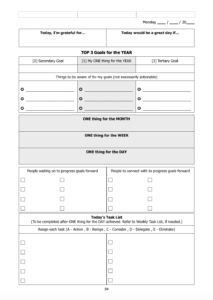 Each day you can refer to this page to see if a task will get done that day. At the beginning of each week there is also space for some free notes, in case the daily notes space isn’t enough.